How Does SEO Company Help in Increasing Sales On Your Website? A person who runs an online business is familiar with the fact that more sales will be obtained if the website appears on the first list of Google or any other major search engine. Many professionals, who have online businesses, use a search engine optimization strategy to make sure there is an increase in sales on their websites. The question here is how exactly does search engine optimization help in increasing the sales on your website? Here is what it does. There are numerous ways and methods by which you can ensure that your website appears on the top list of the search engines results and hence increase traffic to your website. SEO requires professional expertise and requires work to be done and redone again and again. So, the best way is to outsource your SEO work such that you will be free to concentrate on the prime objective of your organization. 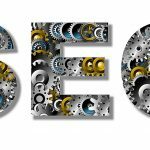 There are many companies who hire a Melbourne SEO company to carry out their SEO work. There are mainly two types of SEO. One is on page SEO and the other is off page SEO. The on-page SEO deals with work that is done directly on the website which in-turn improves the quality of traffic to your website which makes it “search engine friendly”. If the content on your website is genuine and new, the search engine will automatically put your website higher up on the search result. You can include things like articles and images on the website in your content. In off page SEO, work is done in places other than your website. This is done by increasing the importance of your website. One of the most common forms of search engine optimization is link building and it is done by posting links to your website in as many places as possible and other sites where it is allowed for websites to post their links. In this way, the search engine knows that your website is gaining importance and automatically puts you higher up on the search results list. Now that you have decided to hire a Melbourne SEO company to do your search engine optimization work you need to now do some planning in order to lay down the parameters of your SEO project. Efficient project planning will help you avoid choosing a bad SEO plan. It is always recommended to define and understand the objectives and goals of the project, create deadlines for the completion of the project and always make a contingency plan in case the first plan does not work. Hence all you need to do is to explain to the company that you are hiring what your goals are and what market you would like to target. Efficient communication is extremely essential to make sure that the progress of your plan is happening properly and this will, in turn, help your SEO company get for you maximum traffic to your website. Platinum SEO services are to date the best SEO Company with promising results.